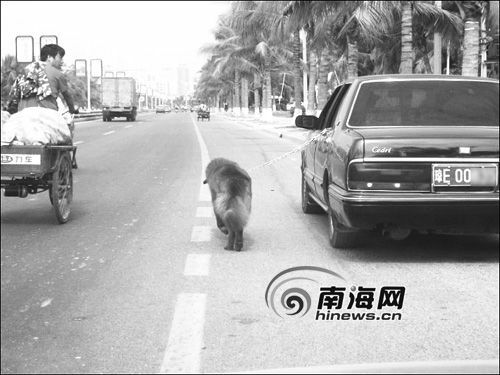 China's Funniest Pictures: Walk your dog with a car? Tired of walking your dog? Go walk your dog with a car!